People aboard a Dana Airline plane were left in shock after the exit door fell off as they landed at an undisclosed airport. 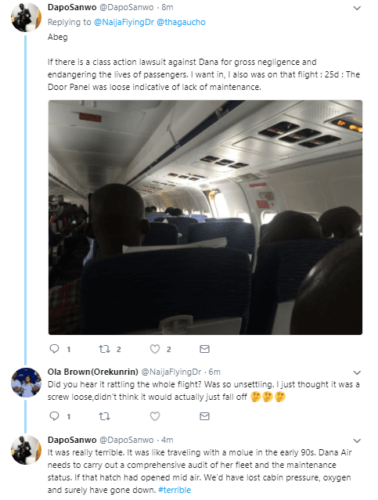 According to eye witnesses, the exit door which was rattling through out the flight, eventually fell off once it landed. The lack of maintenance of some planes being used in Nigeria is becoming quite disturbing. 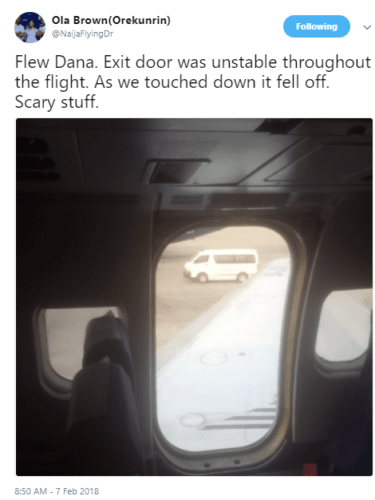 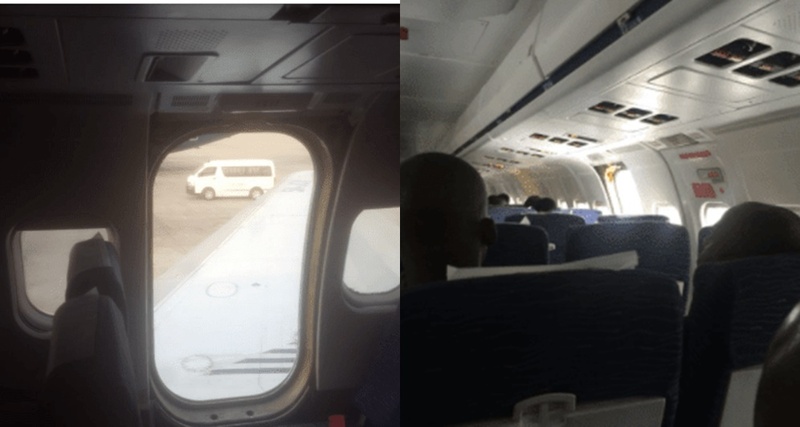 Two Twitter users who were on the said plane narrated their scary experience while corroborating the fact that, the exit door of the Dana airplane they flew in fell off as they landed at an airport.